Every day we would take a moment to go outside just to marvel at the handiwork of God. 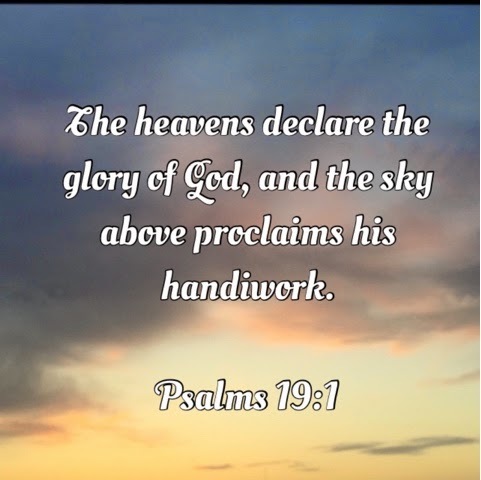 We would discuss how God’s glory was being declared by what we were seeing in the sky. God’s glory. I love how Lil’ Man’s tutor explained it to the kids, “The glory of God is His goodness and greatness”. Although we enjoyed some pretty awesome night skies and there were some really great scenes in the sky during the afternoon, the sunsets were definitely our favorite. 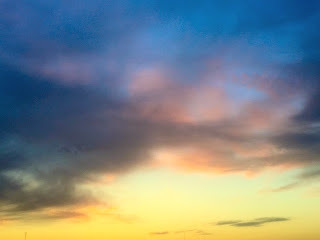 All the beautiful colors of His artistic hand. Simply breathtaking. Lil’ Man definitely is an appreciator of the arts. He loves to draw, paint and color. He also loves learning about different artists and their styles of painting. I was surprised at how much he paid attention during the art portion of CC. He thoroughly enjoyed learning about a specific artist each week. I felt like the connection to convey the verse we were discussing for the week with what he understood and enjoys was perfect. One day, I commented on how the sky looked like a beautiful painting. He looked up at it for awhile and then turned to me and said, “It is like Claude Monet, but better, because it is God”. God’s glory is declared all around us. Be purposeful to pause and observe the declaration of His goodness and greatness. Last week, all we had to do was look up at the sky to be reminded.